Thank you, DW Drums Founder Don Lombardi! 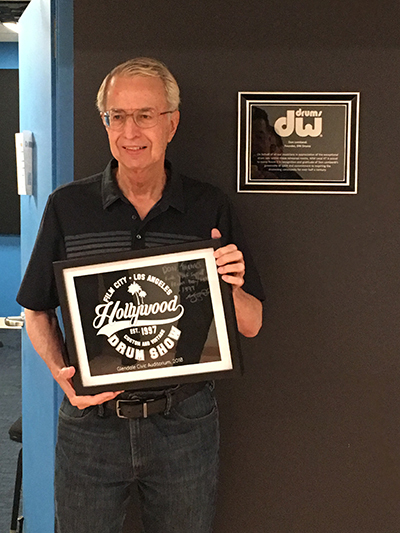 In recognition of DW Drums founder Don Lombardi’s generous instrument donation to our rehearsal rooms, we were honored to welcome Don at a special ceremony on October 2, 2018. Local 47 officers, members and staff were present to unveil the commemorative plaque currently on display outside of Room 3, now named in his honor. This entry was posted in All News and tagged Don Lombardi, DW Drums on November 14, 2018 by admin.